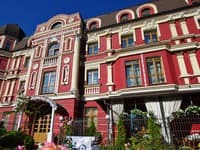 Cozy hostel "4DA" is located in the Solomenskiy district of Kiev, 10 minutes walk from the National Institute of Surgery. Shalimova. The hostel is suitable for 10 people. For comfortable living rooms are equipped with single-level beds and combination locks. There is a separate double room. The common compact kitchen is equipped with a stove, refrigerator and electric kettle. A washing machine and a 24-hour water supply are available in the 4DA's bathroom. Metro stations Beresteyskaya and Shulyavskaya are located 15 minutes' drive from the hostel. The central railway station is 7.5 km away, the distance to Khreshchatyk is 9 km. 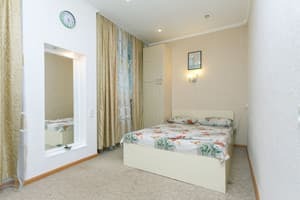 Description of the room: Comfortable clean room in which there are 4 single beds. Includes bedding and free Wi-Fi. WARNING: settlement is possible between 8:00 and 21:00. Check arrival: from 13:00 - 21:00 hours. Check leaving: to 11:00 - 12:00 hours. Additional places are not available. Accommodation of children is possible only with the accompaniment of adults. The shared kitchen is equipped with a stove, fridge and electric kettle. 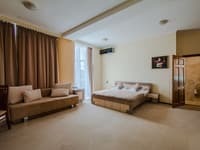 Cozy hostel "4DA" is located in the Solomenskiy district of Kiev, 10 minutes walk from the National Institute of Surgery. 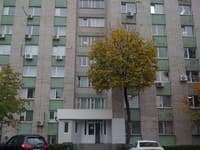 Shalimova. In the house is the center of eye microsurgery. 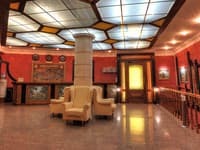 In walking distance is the Institute Shalimov, Medgorodok and NAU.